Among the many treasures Sant Ji has given us are His answers to numerous questions put to Him by disciples and others who sought His advice. The questions span over 20 years, and cover so many aspects of meditation, marriage and family, personal conduct, and so forth. You people should read Sant Bani Magazine carefully because by reading that you can get the answers to all your questions. Only by reading Sant Bani Magazine you can know what you are supposed to do and how you are supposed to do things. Most of the questions which are asked here have been asked many times in the past, and I think that most of them are even published in Sant Bani Magazine. So I would lovingly request you to read Sant Bani Magazine, especially the Question & Answer articles, so that you may not have to ask the same questions again and again. All of the question and answer sessions published in Sant Bani Magazine, from July, 1976 through June, 2005, have been consolidated into six volumes, collectively called The Light of Ajaib. 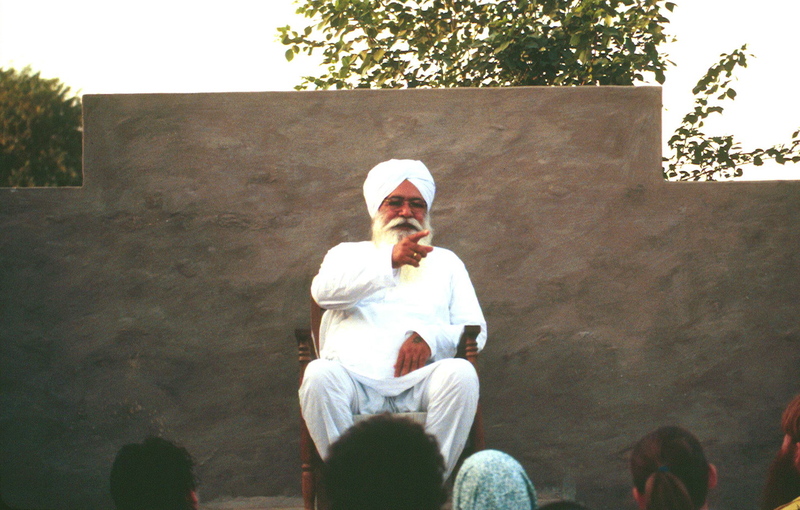 The first volume also contains two very important messages sent from Sant Ji during the very beginning of His mission: His First Message to Western Disciples, and His Message of Love. These are included because they appear to capture so much of the essence of what He tried to communicate to us over the years. If you would like to read the questions and answers directly from the source in the respective Sant Bani Magazine, you can use the Indexes to Questions and Answers, along with the table on the book page to click on the month and year you wish to access. The Chronological Index at the top of the book page, under Light of Ajaib, will also be useful when looking up a specific year. We are grateful to those who contributed to Sant Bani Magazine by painstakingly transcribing the question-and-answer sessions from audio tapes, editing them, and publishing them in the magazine; and to the various sevadars who scanned the magazines and made them available for us to post on mediaseva.com. These scanned documents provided much of the source text for the contents of these volumes. Since The Light of Ajaib was released we discovered that mistakenly a number of questions had been left out. They are listed here, so you can verify if you have the latest version of the PDFs. All six volumes on the mediaseva book page have been updated. For those who would like everything in one PDF, here is the Complete Light of Ajaib, which is also fully updated. Great care was taken to extract the text exactly as it was originally published; but in the scanning and subsequent proofreading process, it is possible some errors have been overlooked. For these errors we ask the reader's forgiveness.